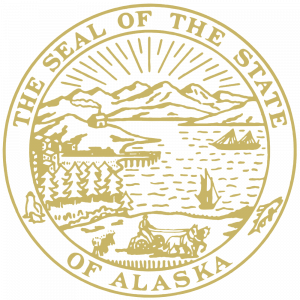 The Alaska Constitution recognizes that our natural resources are meant for the common use and maximum benefit of all Alaskans. It is unprecedented in history that a portion of this wealth has been set aside for future generations through the creation of the Permanent Fund, protected from those who would squander it. A portion of the annual earnings from this resource wealth are distributed as annual dividends to all Alaskan residents. As of January 2018, the Permanent Fund’s total value was $64.5 billion. Twenty-five percent of all bonuses and royalties from natural resource development are required by law to be deposited into the Permanent Fund, and from that, roughly 50% of realized earnings have historically been issued to Alaskans as dividends. As oil revenues have declined, Alaskans are debating the best structure for the dividend program moving forward. I believe no change should be made without a vote of the people. As Alaska’s Governor, I believe the historic PFD program represents a share of our natural resource wealth. It allows every Alaskan to share in our natural resource wealth, which ultimately belongs to the people, and ensures that government is accountable to the people. The PFD is just, equitable and sustainable. It is just because, rather than burden future generations, the program enriches them. The PFD delivers a resource efficiently to the people, bypassing government agencies, and allowing each of us to decide how best to spend it. The PFD is equitable since it compensates everyone equally, even future generations, regardless of who’s in power or their political opinions. Finally, the PFD is sustainable since the Permanent Fund can generate returns forever, even if there is NO new injection of cash from taxpayers. As Alaskans, we all have a unique opportunity to benefit from the PFD, but also an equal responsibility to honor the foresight of those who created this program and protect it. I thank you for making Alaska your home, and it is my commitment as governor to protect this valuable legacy for future Alaskans.